Just a quick update on a new project I have undertaken to start up. This ‘project’ came out of the #MCGPlay event I attended a couple of weeks ago. See more here. I got the idea after a Twitter conversation with Sharna Jackson of Tate Kids and a Museum Studies student called Ingrid, whom I follow on Twitter. To cut a long story short I tweeted Sharna to say I liked her presentation at the event and she tweeted back saying she wished she could have talked to me about vintage & museums. This lead to the idea of having meet ups with vintage clothing lovers but in museums. Also present in the conversation, was Ingrid, who studies at the University of Newcastle. Here’s a screenshot of the twitter conversation! I then suggested Vintage + Museums + Tweet-Up’s = Vintage Tweet=Up’s- Vintage & Museums was born! 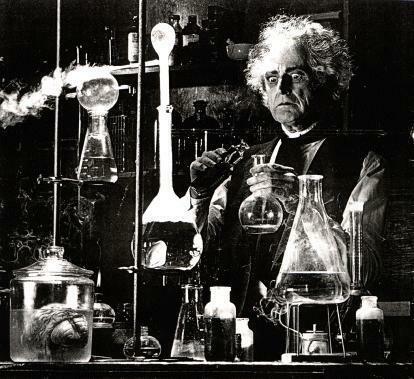 *insert high pitched evil scientist laugh here* A bit like this guy below. There is a Twitter page which can be found here. The idea is that the first meet-up shall be in Belfast in the Autumn time, with the premise to hold it elsewhere! Probably Dublin next, then London, Edinburgh and beyond! There would be a tour of a costume collection, vintage shopping, sight seeing, National Trust properties and Afternoon tea! The Vintage & Museums meet up is NOT just for lovers of all things Vintage clothing. It can be for lovers of historical costume, battle dress, costume collections or just anyone who loves museums and/or vintage in general. Then Vintage & Museums is for you! It is still very much in the development stage. However, I am looking for…. I am looking for people to help me develop ideas for Vintage & Museum Meet/Tweet-Ups, where we could go/who to contact to make it happen. I’m also looking for people to help with the Twitter page, post events that are relevant to the ethos of Vintage & Museums. Preferably, I would be looking for volunteers in N. Ireland/ Republic of Ireland to physically meet up. However, I don’t mind the idea of people from the UK mainland getting involved as I am in England a lot so I could meet up to chat! Next Post To the Manor Born!